Strategic Property Partners has unveiled plans for a pair of new office towers within Water Street Tampa. The buildings will offer work spaces, totaling approximately one million square feet, for companies looking to expand in and move to downtown Tampa. These will be the first new ground-up trophy office buildings constructed in downtown Tampa in nearly 25 years. 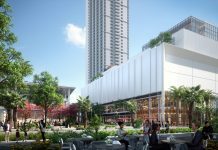 The sustainably-designed buildings, surrounded by over 13 acres of open spaces, will be part of the larger Water Street Tampa neighborhood, the first WELL-certified community in the world. The 1001 Water Street tower will be a 20-story mixed-use building with approximately 380,000 sq. ft. of office space. It is designed by COOKFOX Architects. Located at the northeast intersection of Water St. and Channelside Drive, 1001 Water Street is located adjacent to the University of South Florida’s Morsani College of Medicine, and a verdant plaza links the buildings. 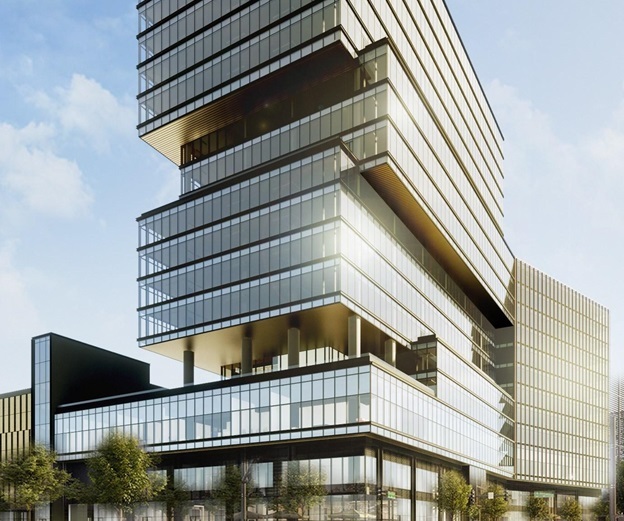 The second tower, 400 Channelside, is designed by the global architecture, design and consulting firm Gensler. It is a 500,000-sq.-ft., 19-story tower featuring a beautifully landscaped 30,000 sq. ft. sky garden.